Anti-Fungal Drug Resistance - YeastInfection.Org by Eric Bakker N.D.
Yeast infection treatments, which fail to respond to conventional anti-fungal drug treatments, have become increasingly reported, just like antibiotic resistant bacterial infections have over the years. There are many people who just don’t seem to respond to the azole class of drugs anymore, such as Fluconazole. This is partly due to the widespread, long-term use of azoles for treating and preventing yeast related health issues. Medications do have their place at times and are sometimes useful to get rid of first-time yeast infections or major yeast infections, I have noticed that some patients over the years had a successful treatment by their doctor for their yeast infection, and never did the problem recur. But these cases are uncommon, and in most all cases the yeast infection will recur. If you get a recurring yeast infection, then you should seriously consider not using that medication again because it could mean that you are either developing drug resistance, or that you have an underlying problem that hasn’t been addressed. If you use prescription medication every time for a recurrence it means that you are covering up a problem that needs to be fixed. You need to get rid of the yeast problem at its core, the cause needs fixing and not the manifestations of the cause. Unfortunately, the doctor’s answer to fungal drug resistance may be to double or treble the dose of what he has prescribed you or alternatively to use a an even more powerful antifungal such as amphotericin B. While this drug is certainly more potent and effective, amphotericin B is considerably more toxic, especially to the kidney. If you are a person with an underlying kidney or liver disease, you will want to avoid the stronger antifungal drugs which result in changes in kidney function tests. Just like a gun with a higher caliber, the stronger the firing power the more likely you will cause more collateral damage. Recent studies have show that exposure to azole treatment decreases the antifungal activity of amphotericin B. Two other types of antifungal drugs have also been shown to be active against azole-resistant candida yeast infections, they are Voriconazole (Vfend) which showed enhanced activity against fluconazole-resistant candidiasis and another drug called caspofungin (Cancidas) which has also shown activity against azole-resistant strains of candidiasis. No doubt there will be side effects associated with these antifungals as well. Because of the widespread antifungal drug resistance, taking any pharmaceutical drug to prevent a candida yeast infection is ridiculous and should not be encouraged in my opinion. For example, when fluconazole is used to “prevent” a woman’s yeast infections and then resistance develops, treating any potentially newer and more aggressive yeast infections becomes much more difficult and will often found to be unsuccessful until the drug is discontinued and the kidneys and liver are cleaned up. Azole drug treatments only weaken the body’s immune system and toxify the kidneys and liver, creating many potential additional diseases. It is therefore best never to begin using these azole drugs in the first place, and in most all cases they will not be found to be necessary if the Candida Crusher program is adhered to. Azole based antifungal drug treatment for chronic yeast infection treatment is certainly not encouraged in my clinic and I have unfortunately seen too many people with recurrent infections who remain on long-term azole therapy to treat and in the hope of preventing yeast infections. In these cases, side effects and drug resistance remains a concern and by the time they see me they still have the yeast infection that has become suppressed, and on top of that present with many side effects from long term drug therapy. There is a better way! The Candida Crusher natural approach towards yeast infection eradication is the safest and most effective approach, it is drug and side effect free and will ensure a complete and permanent eradication if followed carefully. Hi i am cherry and i have been treating candida yeast infection for about 8 months now and it keeps reocurring, i have used all d azoles i know yet it keeps coming back what do i do. 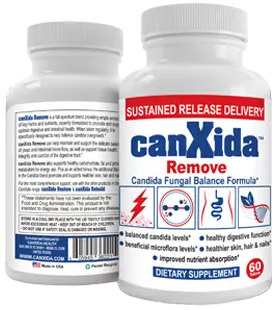 Have you tried Candida Crusher approach with Canxida supplements? I have had reoccurring Candida over years now. now is not responding to treatment anymore. We have done a comprehensive video on the topic please check our youtube channel!